Services - Technical Comfort, Inc. If you need service for your Lutron home automation system, are looking to upgrade an old home automation system, or want to install a new Lutron system, talk with the Lutron service experts at Technical Comfort. 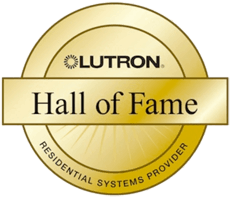 Since 2004, Technical Comfort has earned a reputation as Orange County’s most trusted and innovative Lutron dealer, installer, designer, and programmer. Our skilled team, led by Lutron expert Rick Wlodyga, has installed over 400 custom Lutron systems for families across Orange County and beyond. We get to know each and every one of our clients, listening to their family’s needs and understanding the habits and preferences that make the way they use their homes unique. Through our range of Lutron services, we give families all over the region the home control experience that they wish for. We don’t just work directly with homeowners...we work with contractors, too. Whether you’re a general contractor, electrical contractor, A/V contractor, or even an interior designer, our goal as your subcontractor is to make your clients’ homes look great, and to make you look good to your clients. We’ve worked with contractors of all kinds on hundreds of homes, large and small, on new installations and retrofits. If you’re looking for a Lutron Subcontractor to provide the Lutron services and support you and your clients need, we are the team you are looking for. It’s the small habits and traditions that make your family so special. Why not build a home that suits them perfectly? Installing a Lutron system isn’t just about choosing the right components. It’s about understanding the way your family lives and building a system that accommodates everyone. In other words, your happiness with your Lutron home automation system starts with design. Our world-class Lutron design staff has designed hundreds of Lutron home systems. We can set up specialized lighting systems to enhance your home’s energy efficiency, provide unprecedented convenience, and customize rooms to suit your family’s unique lifestyle. Discover more about our Lutron System Design services. Whether you want to upgrade an existing Lutron system or take your lifestyle to a new level of comfort and convenience, Technical Comfort has the technical experience and customer service to turn your ideas into reality. Once your design is complete, programming brings it to life. We enjoy working with homeowners to customize their living spaces in ways that maximize their efficiency, create memorable experiences, and provide security and peace of mind. We’ve also worked alongside plenty of local contractors and interior designers to craft family spaces that are both beautiful and functional. Learn more about our Lutron Programming expertise! Building or remodelling your home is already difficult enough, so don’t add more stress to your project by dealing with multiple subcontractors. When Technical Comfort manages your Lutron installation project, we make sure it all goes right, and there’s just one number to call when you have a question. We can handle every step of your Lutron installation, from initial designs to technical troubleshooting to final installation. And if you’re a contractor who wants to install a Lutron system in one of your properties, our experienced team can help you avoid costly delays and ensure a finished product that will meet the needs and desires of your client. Learn more about our Lutron Installation process! Even with a professional installation, you never know when you will need to expand your system or fix a technical issue. Don’t be left in the dark when your previous Lutron dealer doesn’t show up! Technical Comfort regularly makes house calls to replace outdated or broken equipment, make adjustments to your home setup, and even teach you how to use your Lutron system! Years of experience servicing Southern California homes have given our team the knowledge and expertise to solve any problem, no matter how large or small. Read more about our Lutron Service and Repair services! No matter your practical needs or design ideas, Technical Comfort can provide all of the Lutron services that you will need. We are conveniently located in Laguna Niguel, within driving distance of every Orange County neighborhood and surrounding areas. Let’s get started on your dreams with a free initial consultation!